JAY-Z and BEYONCÉ have just announced their OTR II Tour hitting cities across North America from July 25 – October 2, 2018. A limited quantity of VIP Packages and Platinum Seats will be available for each date of the tour. TIDAL and BeyHive members will have access to a special presale beginning on Wednesday, March 14 at 9AM local. Citi® cardmembers will have access to purchase U.S. presale tickets beginning Wednesday, March 14 at 12PM local through Citi’s Private Pass® program. 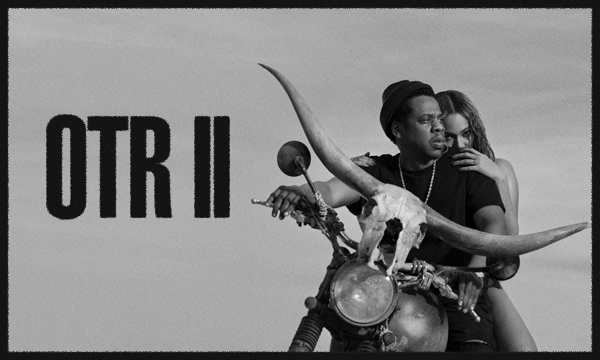 Tickets for the OTR II Tour go on sale to the general public starting Monday, March 19 at 10am local time. Tickets to see two of the greatest artists of all time LIVE will go fast. Prep to purchase JAY-Z and BEYONCÉ concert tickets for the OTR II Tour with these ticket buying tips. Every second counts. Speed your way through checkout by storing your billing info ahead of time. Public Wi-Fi networks can slow you down when you’ve got limited time on your hands. Download the Ticketmaster App for iOS or Android. for the best way to purchase tickets. The Ticketmaster app lets you keep our entire inventory in your pocket. You can purchase from a phone, laptop, or tablet. But make sure you only use one browser (or browser tab) on each device, or else the system might think you’re a bot and cancel your tickets. Sometimes additional tickets are released a few hours before an event. Resale tickets will also be available, so check in regularly. Even if you don’t score tickets right away, Ticketmaster has your back with Verified Resale Tickets. Unlike other ticket resellers, Ticketmaster Verified Resale Tickets are 100% guaranteed to get you in to see JAY-Z on the 4:44 TOUR. Unofficial ticket sellers can only “guarantee” they’ll give you a refund if something goes wrong, but wouldn’t you prefer knowing your ticket is real? Check the list below for local on sale dates, and for more important JAY-Z and BEYONCÉ sales details. Then, set as many reminders as you need to get in line for tickets as soon as they go on sale.